perhapablog... and other ramblings: the looney tunes show~! 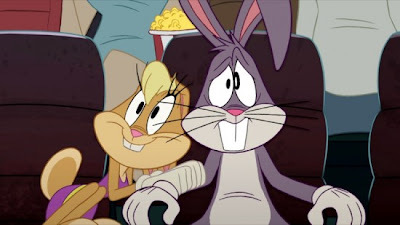 so, have ya seen the new looney tunes show on cartoon network? 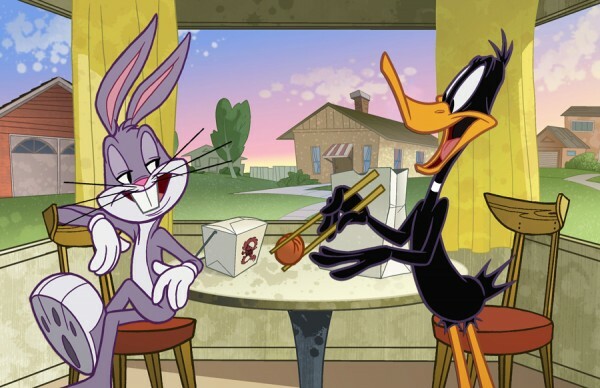 featuring bugs and daffy as roommates that always seem to be getting into one kind of trouble or another? where other familiar faces from the vast roster of colorful characters are dropped in and find themselves in the roles of waiter or teacher or prisoner? where the stories take them on wild adventures and occasionally give us long-time merrie melodies maniacs a sly wink with a quick reference to one of the classics? 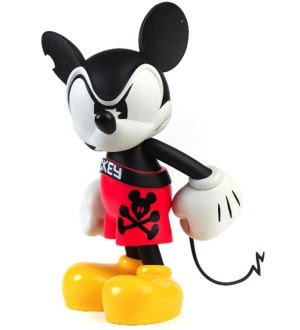 sure, they're updated versions of some of our absolute favorite characters--the boys carry cell phones, listen to their ipods--but they are, underneath it all, the wonderful characters we know and love! 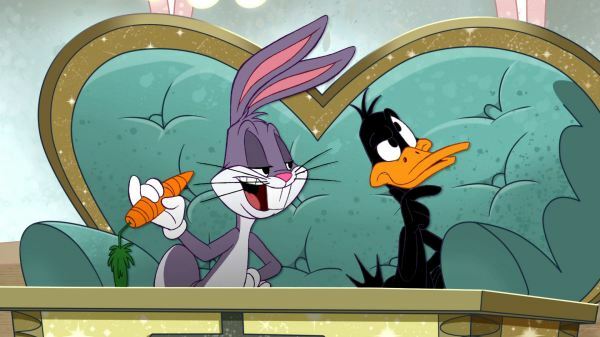 the spirit of those vibrant characters comes through in every frame and it is a testament to the stewards of this legacy--the producers and directors of the new loony tunes show--that they have lovingly, and with all honor and respect, brought the gang to the 21st century intact and with all their funny bones still in the right places! i know that there are detractors out there, deriding the efforts of these people, but here's the thing--kids are loving it! they laugh and listen and can't wait for the next episode! craig tells me that my 4 year old goddaughter is singing the silly little raps they do on the show around the house! this is their looney tunes--these are the shows they'll be remembering 20 years from now! and speaking of looney tunes, my friend terry has one of these banks--and another one featuring bugs--that i love! Cool! I didn't know they were doing this. I really like the character designs. Updated but recognizable. Thanks for the tip. i heard they were doing this new version but didn't know it aired yet! def have to check it out then! Thanks Todd, I'll have to check it out. Those shots do look nice.